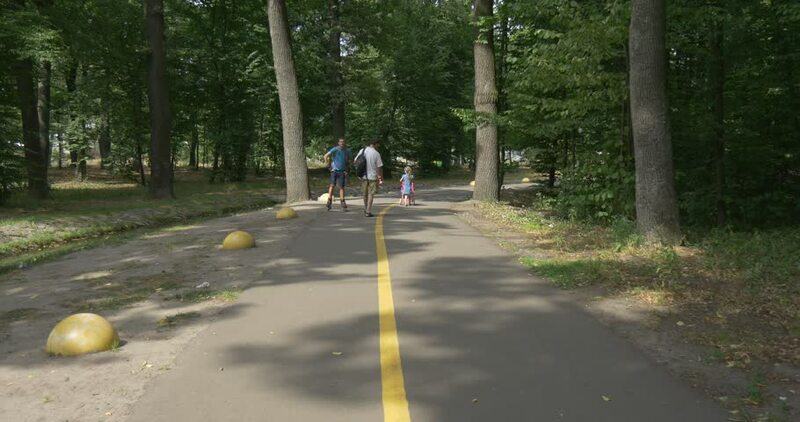 BUCHA/UKRAINE - JUL 19 2015: People are on holiday in a park, young man rides roller-skaters, young girl drives baby carriage, other people walk nearby, day, mid-shot, Ukraine. hd00:13Sunny day, a path for outdoor activities. On it, people run around and do Scandinavian walk.